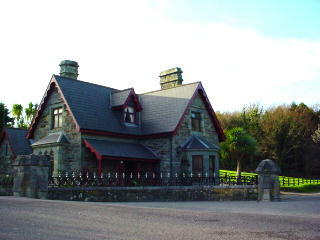 A gatekeeper's lodge serving Castlefreke Castle. The gate was a locked gate and the pillars were twice as high then as they are now. 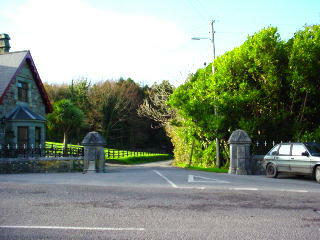 Lady Carbery used to ring a bell on her carriage when she was approaching the gate to summon the gatekeeper to open the gate.